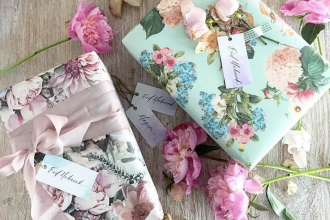 Spring is in full swing and whilst some of us consider spring cleaning our homes, others will be dreaming about spring cleaning our wardrobes. The short bursts of sunshine, flowers in bloom and new fruit on the trees really can be a great motivator to try something new and exciting. Whether it’s your hair, make-up or accessories, transforming your image can often help you to see yourself in a completely new light. 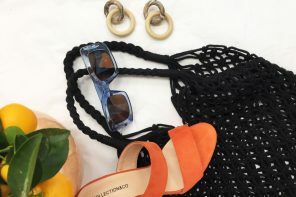 As we move further into 2015, you might be contemplating a stylish new look to set you up for the rest of the year and a fresh pair of vintage-inspired specs could be just what you need. 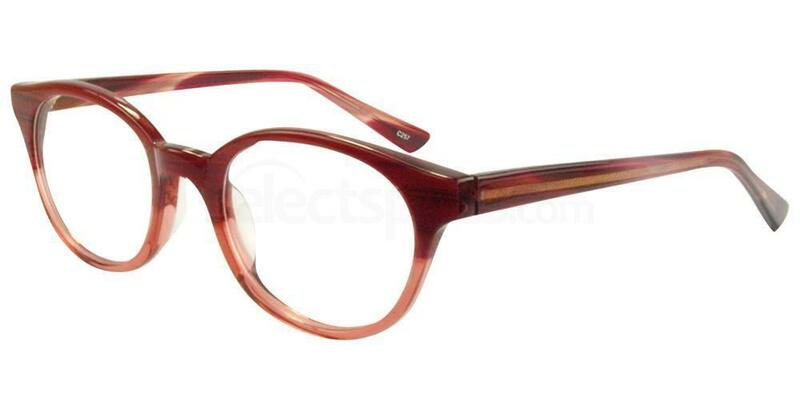 The fabulous Hallmark H81076 glasses are one of the top picks in the Hallmark range thanks to their elegant simplicity. 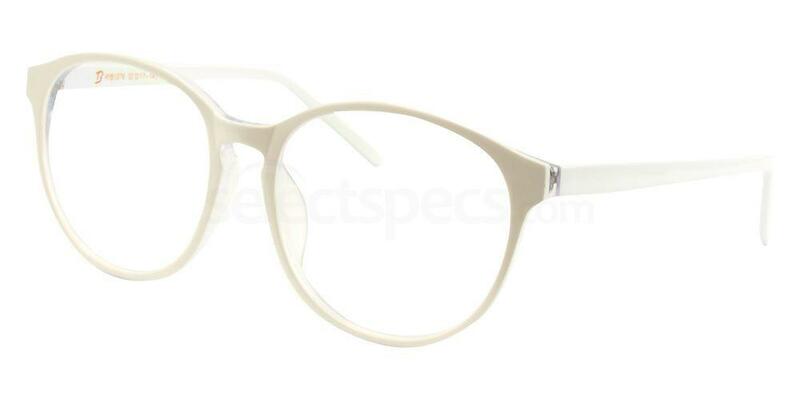 An ultra-thin frame and subtle curves are what make these glasses undeniably reminiscent of so many retro frames but it’s their icy white shade that really takes centre stage. 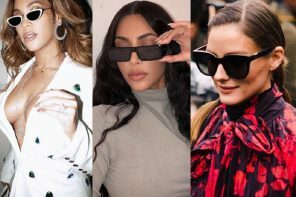 White glasses have certainly become a sought after trend in more recent years and these powerhouse frames certainly do not disappoint when it comes to the wow factor. Skilfully placed hinges and a smooth, plastic frame ensure these prescription specs are a minimalists dream and really do leave you with a beautiful and sophisticated pair of glasses. New and available now at SelectSpecs. Love a bit of pink power? Then these are the specs for you! 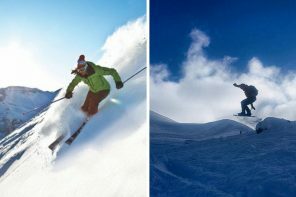 With their classic frame shape and not-so-classic colouring, the HY81060 frames really are something to be marveled at. 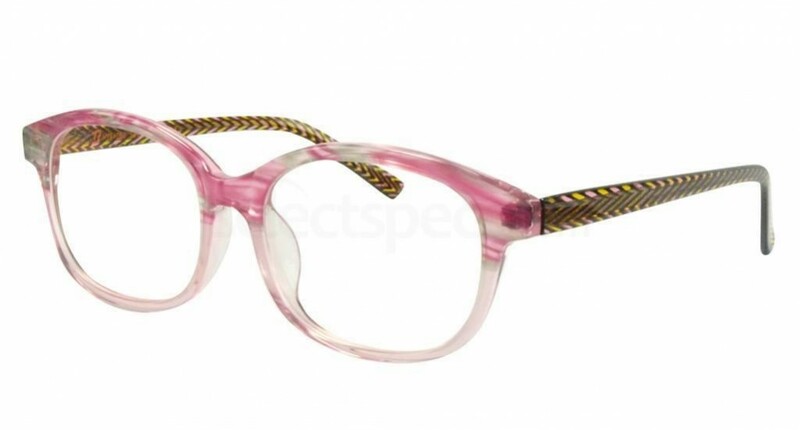 These are just perfect for those who love to rock the colour pink but aren’t looking for an overly ‘feminine’ pair of glasses, as their punchy zig-zag arms help to break up the softer, more pastel colours that sit around the eye. It’s not often you find a pair of glasses as quirky as these and that’s why they deserve to take pride of place in our top 5. Want them? Grab them quick! Hallmark glasses are one of the best when it comes to keeping it fresh and unique and that certainly shows with the super stylish A6838 frames. Featuring stunning bamboo arms, these glasses reflect Hallmark’s passion for recreating vintage styles with a modern twist. 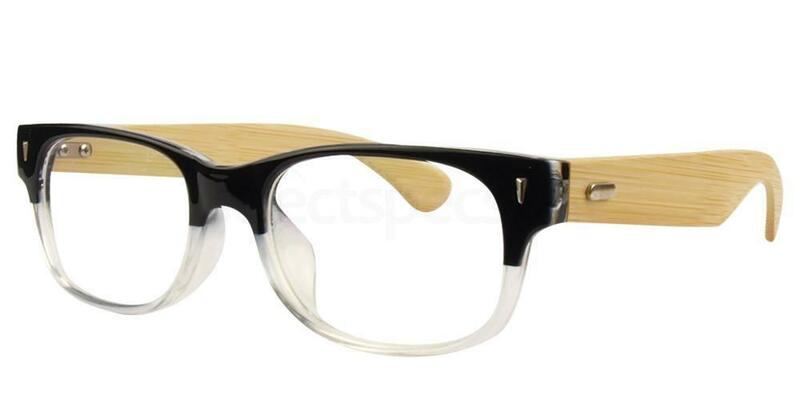 The plastic two tone frames are a stark but exciting contrast from the natural bamboo wooden arms and help to finish off a truly unique pair of glasses. Suitable for all lens types, the A6838 prescription glasses are a top choice for any retro enthusiast and are surprisingly wearable, whilst still ensuring you achieve a standout look like no other. Vibrant, vivacious and virtually impossible to ignore! The Hallmark 6080 frames offer a burst of colour that is sure to help colour lovers everywhere reinvent themselves for the spring and summertime. Just like the HY81060 frames, these glasses boast edgy and creative arms that aren’t dissimilar to an abstract work of art. 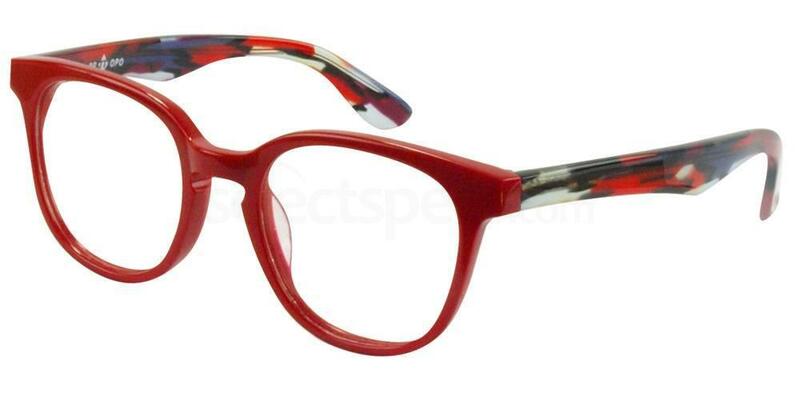 A thick, block colour around the eye gives the wearer a strong look, drawing attention straight to the face. These fiery frames are suitable for both men and women and also come in electric yellow and brilliant black, so no matter what colours capture your imagination, you can stand out in style. Feeling fiery? Get the look. If you’re looking for something a little less vibrant but still want to reinvent yourself with a pair of retro inspired frames, then look no further. The Hallmark BL6289 prescription glasses are simple but well-designed with intricate markings and soft, rounded edges that sit delicately on the face. The gorgeous rosy-brown colouring gives these frames an understated elegance that suits most and perfectly complements those with brown or green eyes. They may be one of Hallmark’s less extravagant frames but their grace and sophistication makes them a beautifully versatile pair of prescription glasses. Love what you see? 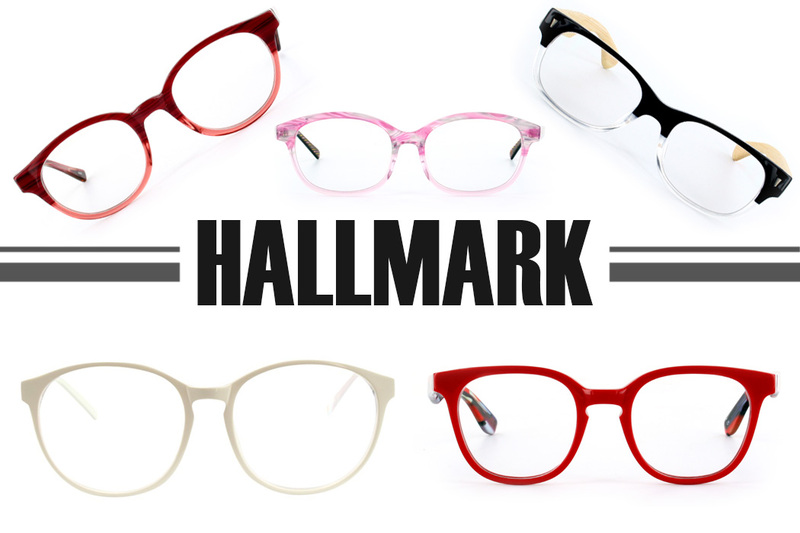 Hallmark glasses are fun, fresh and diverse – so whether you’re 18 or 80 you’re sure to find the perfect pair.